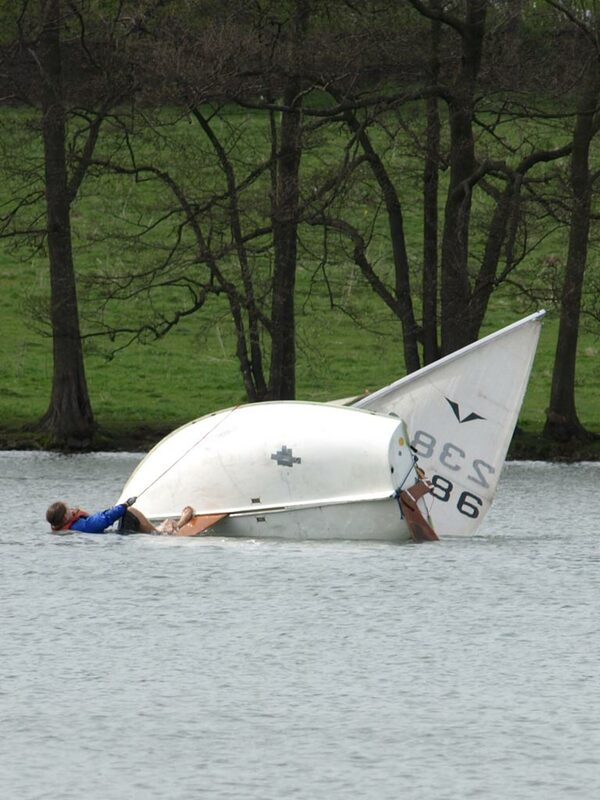 Capsizing is not on everyone's list of favourite things to do when sailing - but knowing what to do and how to recover from a capsize is essential, and should be one of the first things you learn. Capsizing can sometimes not be the most nicest of things to do, especially if it’s a winters day or during a Frostbite series race, you capsize in the shallows, get the mast stuck in the mud, manage to pull the boat up right, climb in (maybe even without getting wet if you dry capsize) and suddenly 10 tonnes of mud drop from the mast tip onto your head! 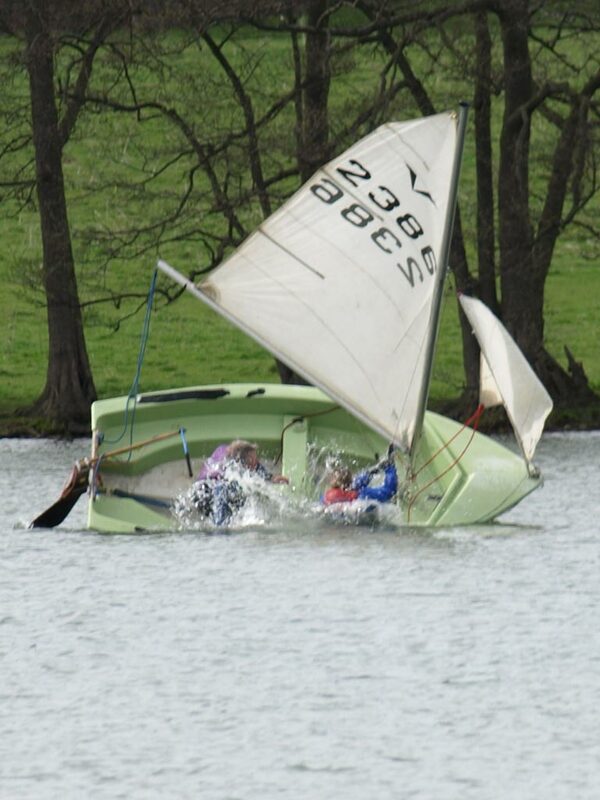 Alternatively, if it's a blazing hot day with rather slow sailing and not much wind, you may end up capsizing on purpose! The best advice we can give is not to worry - capsizing is part of sailing, and happens to the best of sailors. As with everything in sailing, the more you do it the easier it becomes to do, and if you practise the tips below, you'll soon become an expert, and if you can master dry capsizing, all you'll end up with is a wet foot! The initial realisation you're capsizing and entering the water is the biggest shock but the suprise is soon over. It's advisable to wear a wetsuit when sailing - when you go in the water, the water enters the suit, but then a thin layer of water is trapped between the suit and your skin, and your skin quickly warms this water and insulates you from the cold. If you have a wet suit and know you're going to end up in the water (if you're the capsizing king or queen), you can even put it on in the shower so there is already a thin layer of warm water underneath the suit. If you have trouble dealing with the cold (some people suffer from anaemia and struggle to keep warm), you could consider buying a dry suit - they're pretty expensive (most types start from around £200) but if you're serious about sailing in the winter cold, you'll think it money well spent. That said, a lot of drysuits are breathable and let the air through, but they do keep the cold water out. 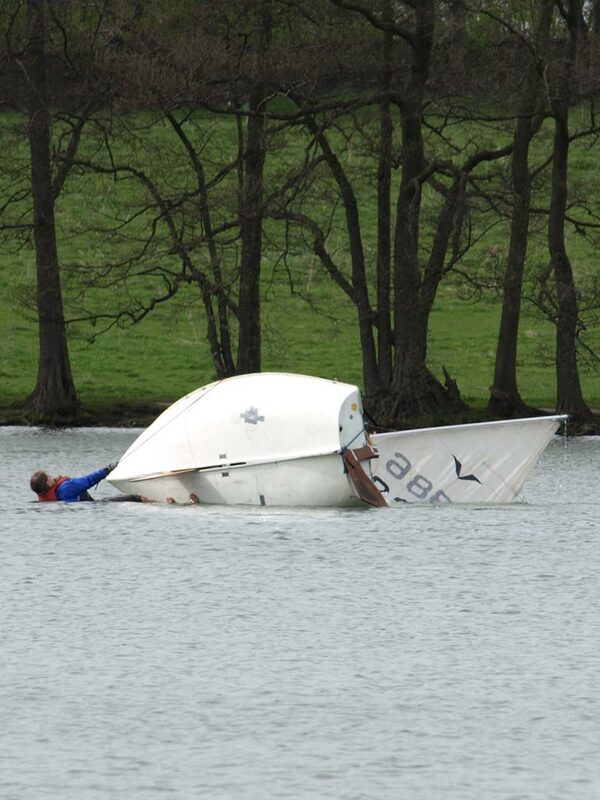 Dry capsize - this is when you are quick enough to get over the side of the boat and stand on the centreboard/daggerboard, walking as far back on it as possible to bring the boat back upright. Trust us don’t believe the title of it, because while you may only get a foot wet during the capsize, the water has to drain of the sail somewhere, and that's usually on your head! Inversion - yes, you got it! The whole boat goes upside down. 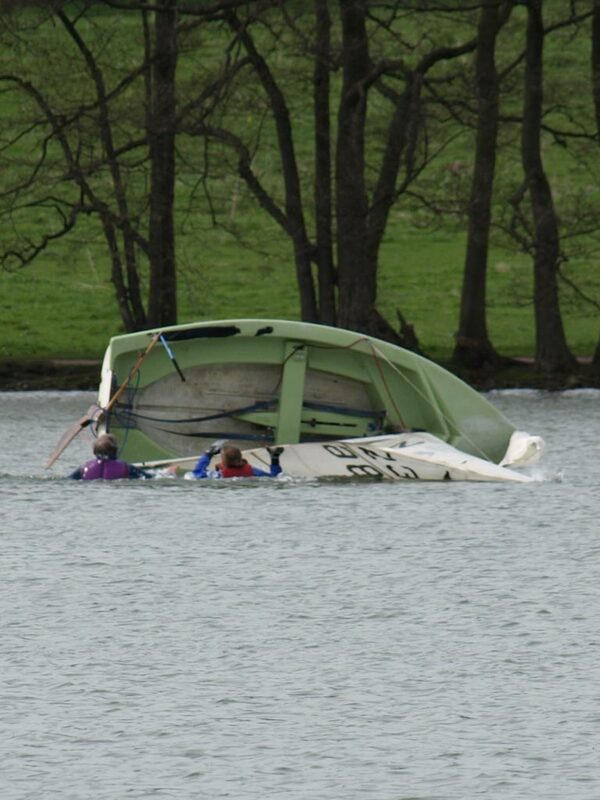 A bit trickier to recover from, but unless you have a shallow lake, nothing to worry about. We'll talk about recovering from inverting another time. Death Roll - don’t worry the grim reaper wont be paying a visit, the death roll term is given to what can sometimes happen when sailing dead downwind - if the boat continually gybes from one side to the other as the wind switches, the rocking can be amplified until the boat capsizes to windward, with the boom and sail in the air, still catching wind, which causes the boat to rotate nose first in the water, and can invert the boat. The usual two causes of capsizes both come down to balance - either there will be too much wind in the sails and not enough weight over the windward side, and the sail will fall away from you as the boat heels over into the water (can be painful on a catamaran! ), or you're sailing along, both leaning out the windward side to keep the boat flat, then all of a sudden the wind dies or changes direction, and the sail comes towards you, taking you for a swim. 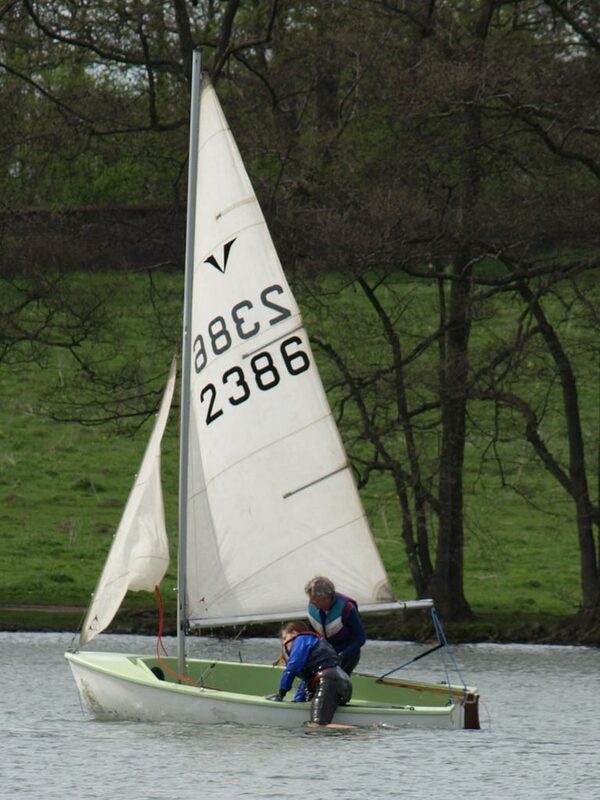 In our photos, please note that the series of photos may look as though they are out of water, as in one photo Becky is busy recovering the boat, but then the next she is being scooped into the boat. 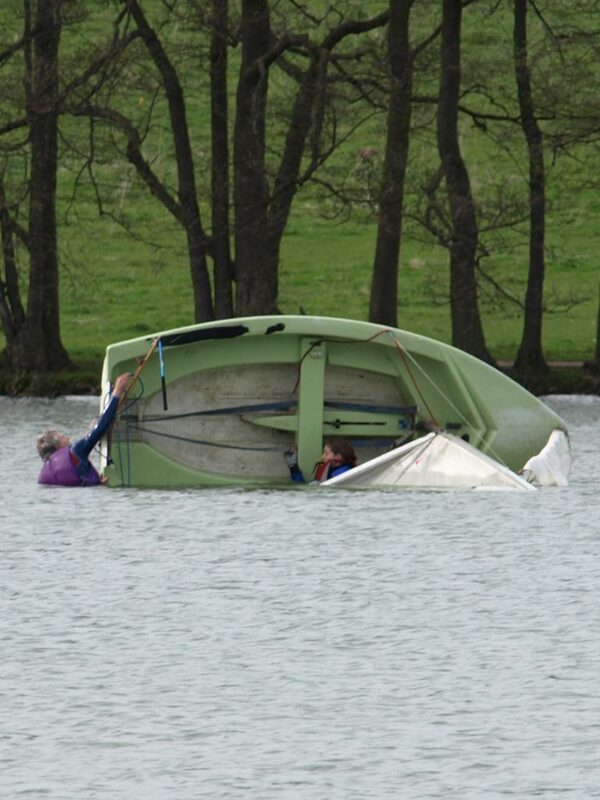 The capsize was done twice, with Becky carrying out first the helms job, then the crews job. 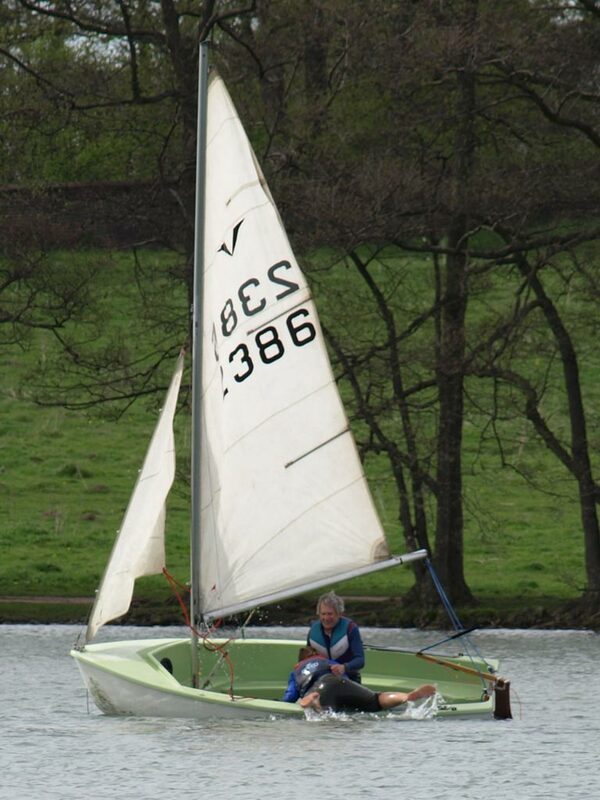 We've reordered the photos so you can see the entire capsizing sequence in turn. 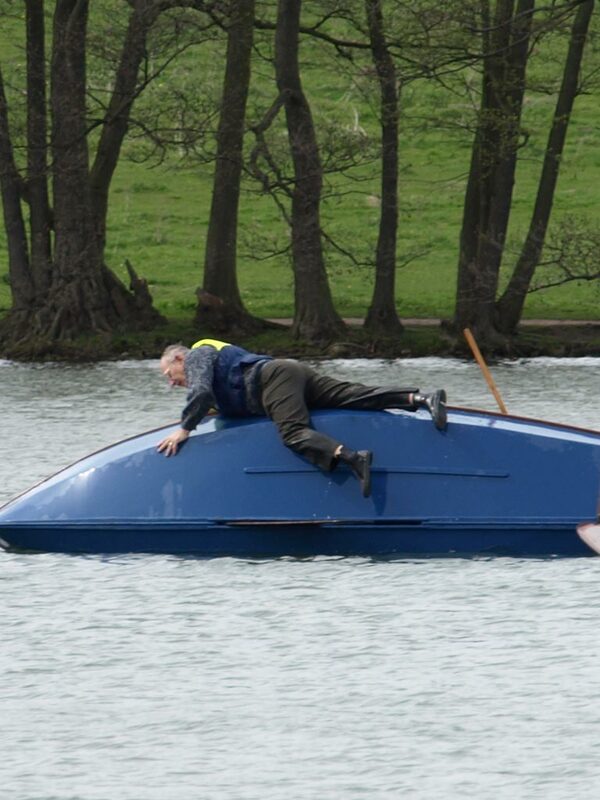 This is the capsize recovery technique for a boat such as an Enterprise, GP14, Wayfarer or if you have more modern boats, a Laser 2000, RS400 etc. 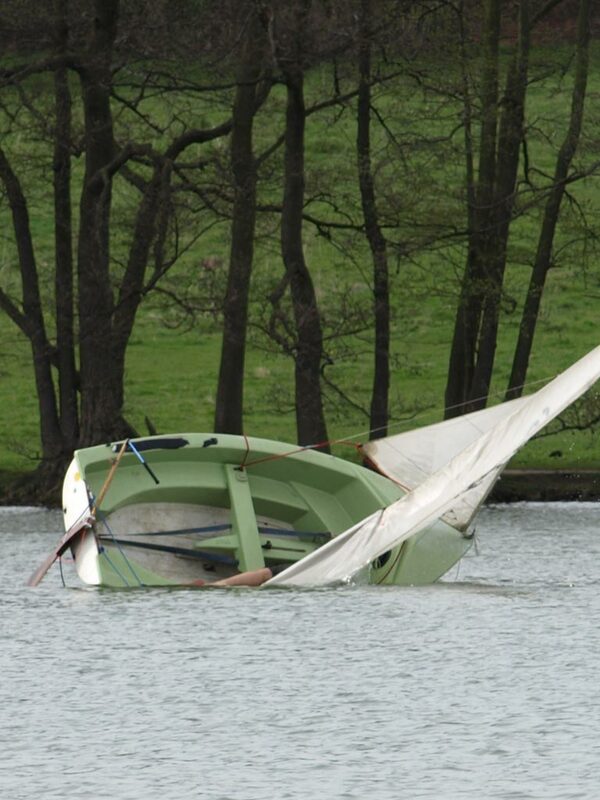 - Unjam sheets - as soon as you realise the boat is about to capsize, unjam all the sheets. This will save you messing with them in the water (see Photo 1). - Check crew - when entering water, check everyone is ok and no-one is trapped, check no-one is hanging on to the boat which could make it invert/turn turtle, and check the daggerboard still attached. Ideally it should be all the way down (see Photo 2). - Grab Mainsheet and Swim - the helm grabs the mainsheet and swims around the back of the boat, checking the rudder is still attached on the way (see Photo 3). - Grab Centreboard - the helm swims round to centreboard/daggerboard making sure it is fully down (watch the teeth); with a centreboard you can see through the slot to the crew the other side. - Talk to Each Other - the helm asks the crew for the jib sheet if they haven't already thrown it over, (or if the boat has a righting line stand on the centreboard and grab it), and keep communicating with each other to make sure you are both are still ok.
- Walking The Hull - the crew throws the jibsheet over, which the helm catches. The helm shouhdl lie down in the water, holding the jibsheet, with their feet on the hull, and walk up the hull. 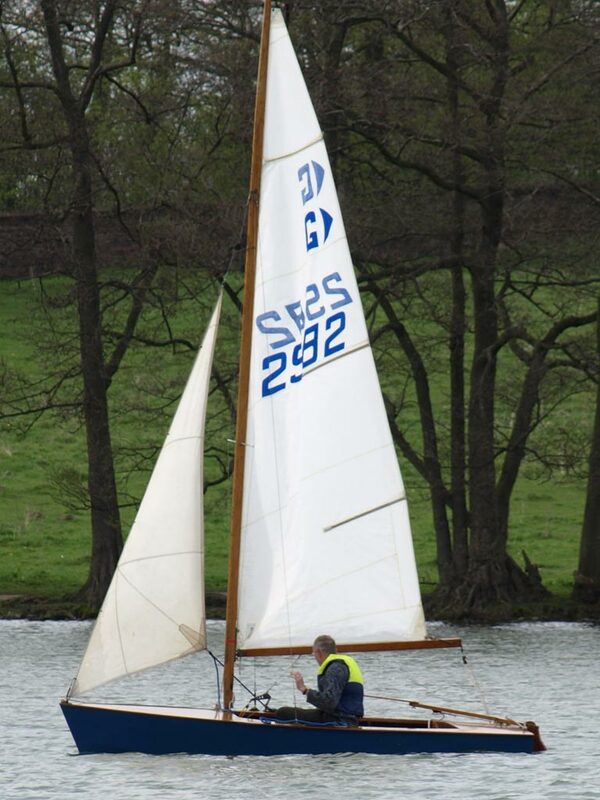 The boat will come up slowly at first, as it drags the sail and mast clear of the water (it's surprising the amount of downforce the water can put on the sail), then more quickly as the mast and sail clear the water (see Photo 4, 5 and 7). - Crew lies in boat - the crew should be lying in the water alongside the boat, holding onto the toestraps (but not putting weight on the boat) (see Photo 6). - Crew scooped in - as the boat comes up, the crew should be scooped inside the hull. - Crew pulls in helm - the crew helps pull the helm into the boat, either over the side or over the transom, by grabbing their bouyancy aid and helping them in (see Photos 8, 9, 10, 11 and 12). 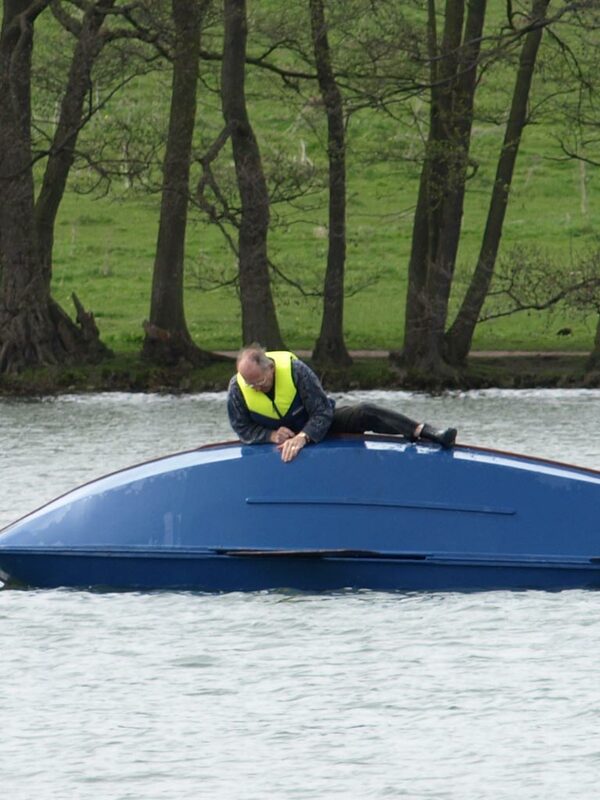 This is the capsize recovery technique for a boat such as a Laser or Topper. This is similar to double handers in technique, the only difference being you're on your own! - Grab mainsheet - when you go in the water, check the centreboard or daggerboard is down and still attached, grab hold of the mainsheet, and swim around the boat checking the rudder on the way. - Grab centreboard - grab the centreboard and pull down as much as you can. If this doesn't work, sometimes you may need to climb onto it (particularly if you are small and light) and walk backwards until the boat comes up. 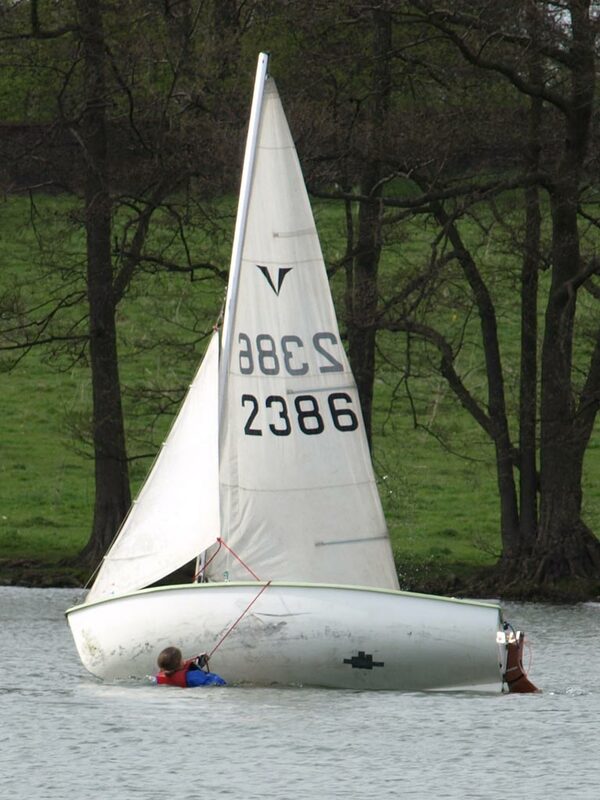 Be careful though - it's easy to break daggerboards if you put too much weight on. Remember the boat will come up slowly - don't put more weight on just to make it come up quicker, you'll risk breaking it. - Climb in - climb into the boat by holding onto the toestraps and pulling yourself in. 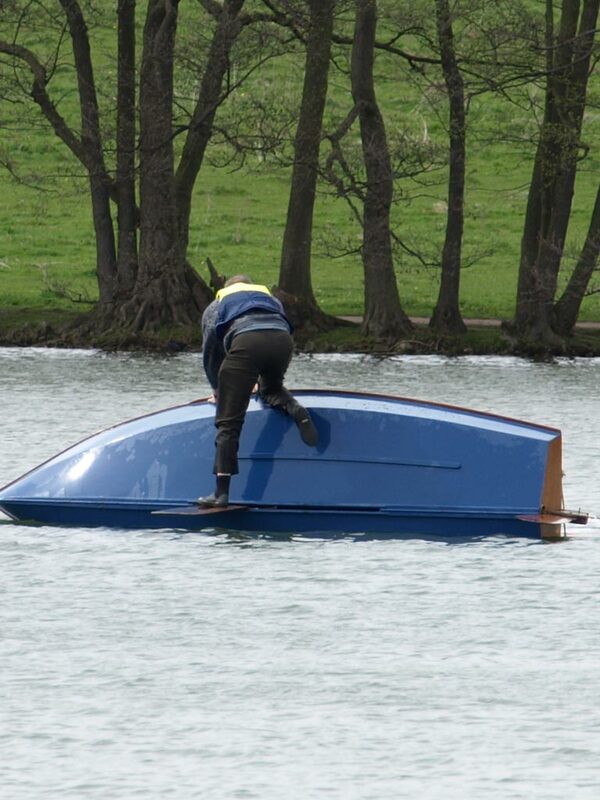 You may find it easier to climb back in over the back rather than the side, as you could pull the boat towards you and capsize it again (speaking from experience here). In single handlers if you are quick enough, you can get yourself over the side of the boat thats not going into the water, and step onto the centreboard, putting weight onto it and raising the boat back up out of the water, and then stepping back into the boat as it comes back up, probably only getting your foot wet. We have found this technique particularly difficult to master in toppers, due to our size, it's easier in a Laser. Either way, it does require quick thinking and realising quickly you're about to capsize. Photo 14. Try not to fall in! Photo 18. Sail off, mostly dry! Some boats will invert more quickly than others - usually when they have lots of bouyancy built into the hull and ride high in the water when capsized, they will quickly tip over. Boats differ in how hard they are to recover from an invert - some will form a seal between the deck and the water that must be broken. There are two ways to recover an invert - one way requires a crew member to push down on a corner of the transom to raise the bow up and break the seal with the water, while the other person pulls the boat upright. The other way requires both crew members to stand on the one gunwhale and if possible pull on the centreboard or daggerboard. 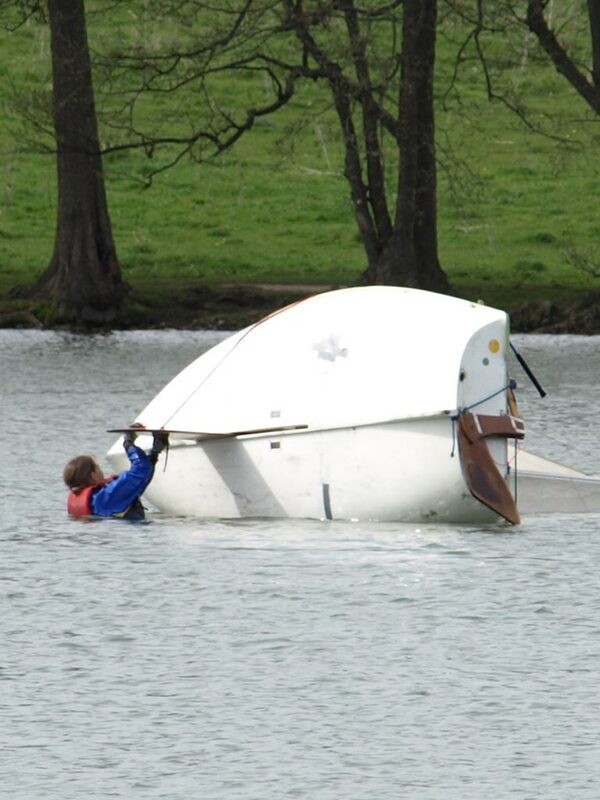 This should bring the boat back to the usual capsize position, where the usual capsize recovery method can be used. Again, if you are unfamiliar with this, then take a bit of time and don't be in a rush, otherwise you could end up breaking something. - Can't recover: If you can't recover - never leave the boat - it's larger than you are and more visible to rescuers, and also even when upside down most boats float well, unless they are seriously damaged and sinking. - Spinnakers - depending on the type of spinnaker, you may need to pull it down and bundle it up in the water before recovering the boat, as the size of the sail and the water may stop you pulling the boat up. - Sticky Mud - you may get the mast stuck in the mud, which can make it harder to pull back up. We don't advise bouncing it, but sometimes its the only way to get it unstuck. This inevitably could damage parts of the boat, especially the mast. If a safety boat is going to pull it free, make sure the person in the boat knows what they are doing (by attaching a rope to the opposite side to the direction they are pulling in, to pull the mast first away from the safety boat then up towards it, as shown below. 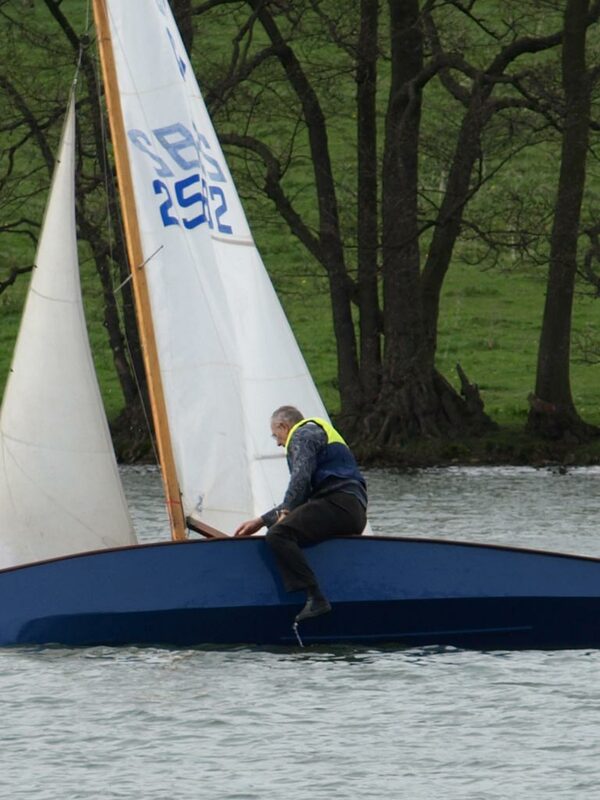 - Centreboard Breaking - be careful you dont put too much weight on the centreboard or it could snap as these intrepid 18ft skiff sailors found out. There aren't many areas of sailing that are dangerous - gybing can be if you don't pay attention to the boom, and any kind of heavy weather sailing that you are ill-prepared or ill-experienced for (and any kind of coastal or marine sailing if you are not experienced enough), but capsizing has it's risks. For the typical learning sailor, in a boat such as a Laser or a Topper, there are few risks. If you're sailing races in a club or learning, there will usually be a safety boat on hand to help you if you get into trouble or just can't get the boat up because you're too tired from sailing all day, surfing the previous week and kayaking the week before that (or maybe that's just us?). If you are just learning, we wouldn't advise going out on your own, and if you are fairly recently qualified (within the last couple of years), then we wouldn't recommend you go out on your own when its really windy, no matter how much you want to sail. 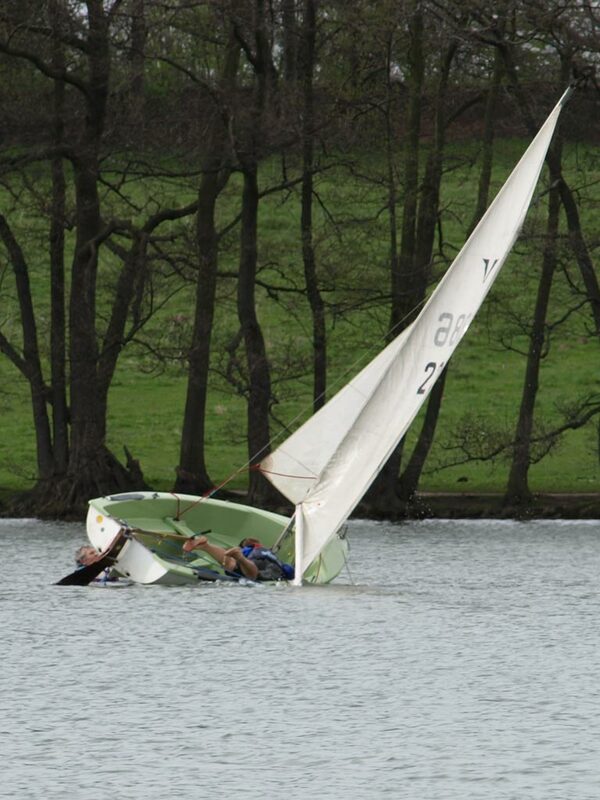 When you get into performance dinghy sailing, and using trapezes, capsizing can become more dangerous. Very few people in this country die from sailing dinghies, but in the last few years, several deaths have occurred when capsizing using trapezes. If you capsize and cannot get free of the wire, and get trapped under the sail, you can sometimes struggle to get out, and this is called entrapment. 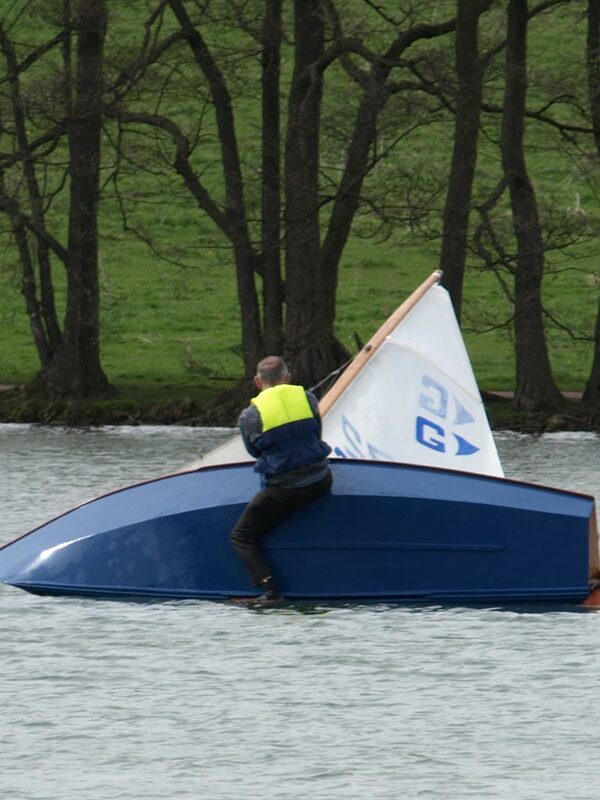 However, please don't allow this to put you off capsizing - the people who this happened to were experienced sailors taking part in large organised races, pushing the limits of their boat and their ability to win, in very windy conditions, and its rare. 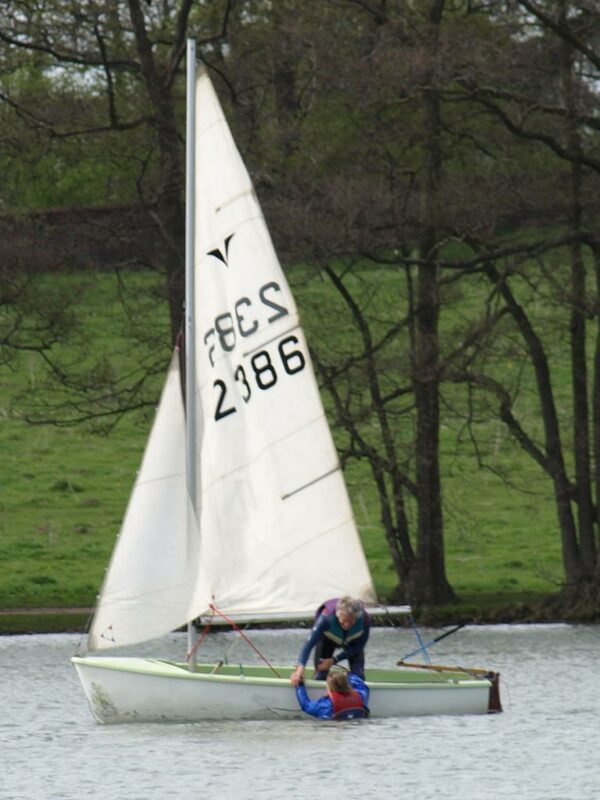 If you're learning to sail, it's very unlikely you'll be using the trapeze for a couple of years. If you are experienced and adventurous, and are trying to learn the trapeze, then perhaps Lake Bala in a Force 9 "hoolie" is not the best time to try the trapeze for the first time (even we weren't keen enough to try that).